It is never too early to protect your loved ones. Even though you are in your 20s or 30s, having a last will and testament prepared guarantees that your spouse and children are able to easily take ownership of your estate. 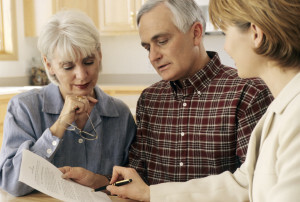 Drafting a will is one of the most common services offered by a group legal plan. It is something that should not be ignored by any responsible person. Unfortunately, there are four very serious mistakes which can be made in drafting a will. You need to avoid them. Writing The Will Yourself. This is almost as bad as not having a will at all. Yes, there are templates on the Internet but they are boilerplate documents. These do not fully take in consideration beneficiaries, or special requirements that you want to be included in your estate. Group legal services includes advice from professionals on what to do. It is true that you pay for your lack of knowledge by using an attorney, but that is better than forcing your beneficiaries to deal with a document poorly drafted. Mistakes Regarding Beneficiaries. This can cover a number of wrong decisions. You may have a blended family, and your will only names children from your first marriage. You may also have named your original spouse, only to have divorced that person later. The individual’s name is still on the document, whether you intended it to be there or not. It can also happen that a named beneficiary has died before you. The Wrong Executor. The person you select to be the executor of your estate may prove to be totally incompetent. You may have originally chosen this person because you liked him or her, without taking into consideration if this person has the skills necessary to execute a final will. Not Updating Your Will. This is a common mistake with very harsh consequences. The will may have been drafted at one point in your life and things change over time. The will has to reflect that. The trouble is that people forget and need to be reminded. Group legal services ordinarily include annual reminders to check the will. This prevents a real disaster from happening later on. Countrywide Pre-Paid Legal Services has been designing group legal plan benefits for 28 years. Preparing last will and testament documents is one of our most common legal services provided. We look at this is more than just writing a document. Our attorneys provide the kind of advice needed to draft a solid final statement. Any questions a group legal plan member has about drafting a will are answered by a seasoned veteran. The attorney may also point out certain qualities of a will that have to be considered. Many of these points are previously unknown by the plan member, and receiving this type of guidance is deeply appreciated. We understand the person might have additional questions, and we allow for unlimited number of telephone calls on a given situation. Countrywide attorneys respond immediately because our group legal plan is a priority issue. Countrywide does a little bit more than ordinary. Annual reminders are sent to plan members, letting them know that they should take a look at the will for any needed changes. This helps a person keep things up to date. Our administration is deliberately streamlined to provide service as quickly as possible. Nobody has to wait. We also tailor our group legal services documents to the needs of the client. We have a number of legal options but the client decides what goes into the plan. Many feel that preparation of the last will and testament is a priority issue, and include this benefit in the plan document. The matter what legal options are selected, Countrywide provides superior service to all plan members. We make sure that the group legal services given on the best possible.